After eight weeks in inland waters, we finally broke into the wide Pacific Ocean for our final leg to San Francisco. 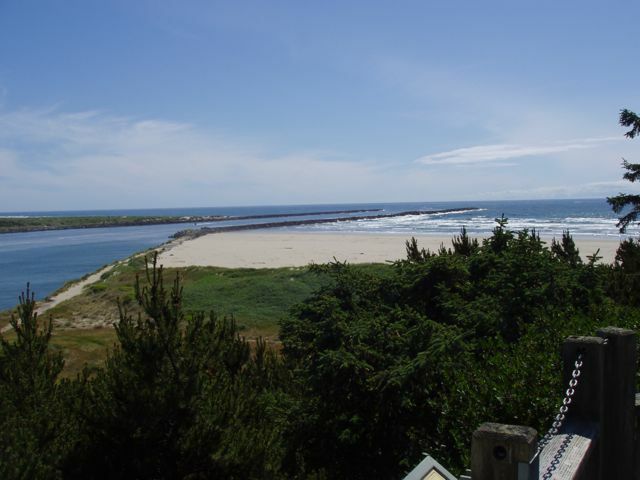 From Neah Bay, WA to Newport, OR, we were offshore in vigorous weather and were glad to pull into lovely Newport, OR. Beautiful Port Angeles, WA in the sunlight. 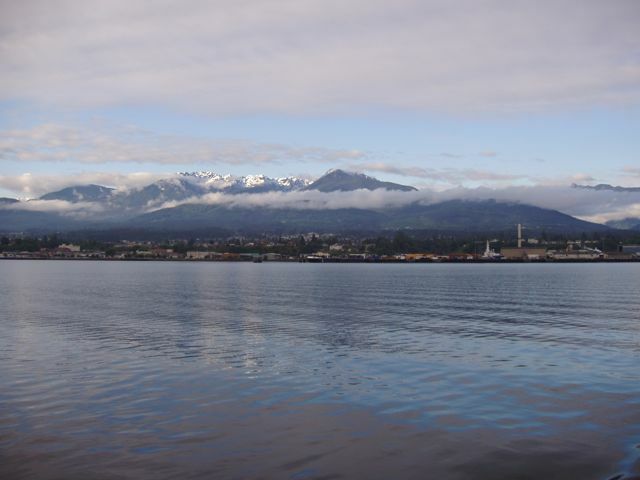 Port Angeles is the largest city on the Olympic Peninsula and is just south of Victoria, BC. 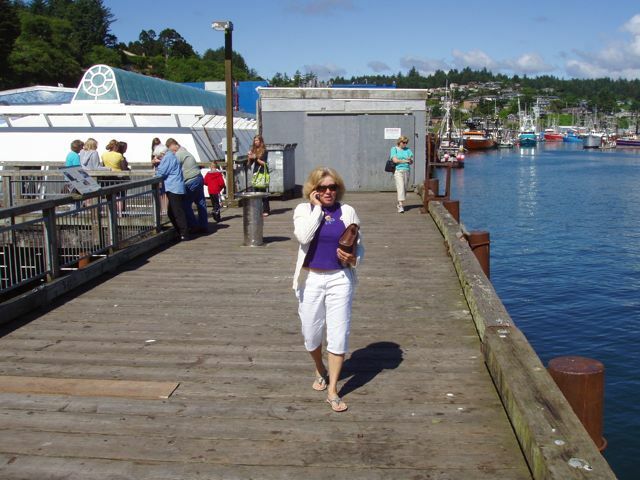 It is a major hub for ferry service to Vancouver and Victoria, BC, timber shipping, and fishing. 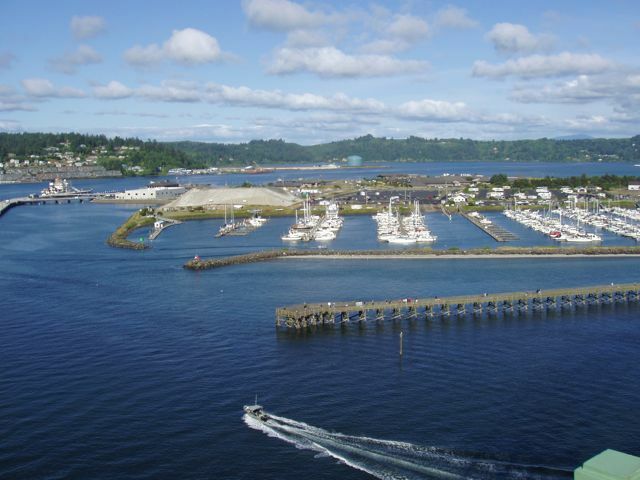 Neah Bay, WA is a small First People town located on their reservation. Timber and fishing are their staple industries. 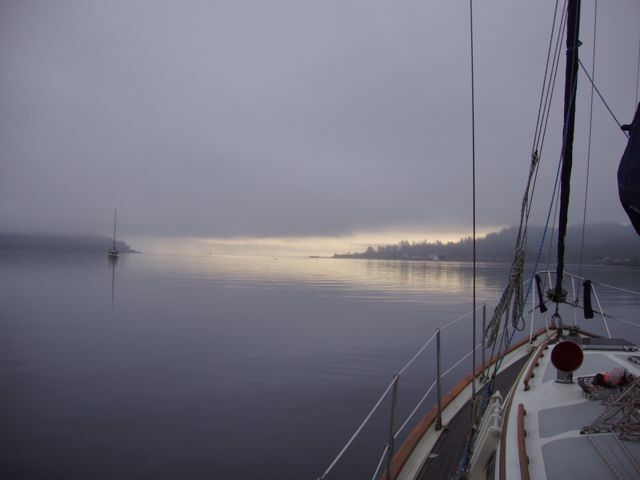 The morning we left Neah Bay to go offshore and head south, Conni snapped this photo of Neah Bay as we prepared the boat for offshore travel. The Duntz Rock lighted buoy, the western-most buoy in Washington state. 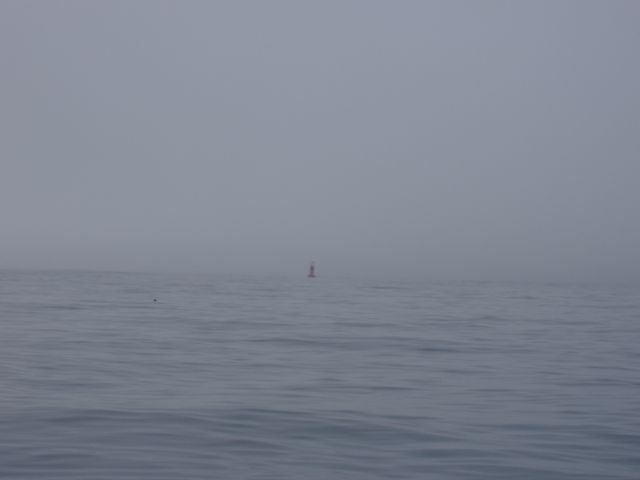 We made our big turn from West to South around this buoy. We were using radar and chartplotter for navigation. On watch early that next morning, several pods of whales passed on their way to their northern feeding and breeding grounds. 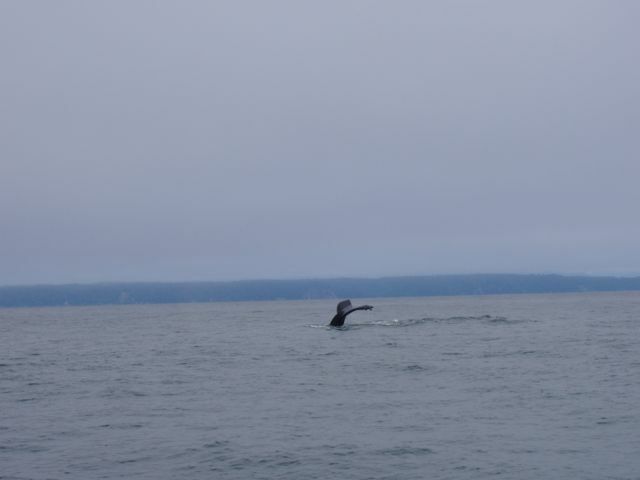 By sheer luck, I snapped this photo of a diving whale. Wings tied to the transient dock in Newport, OR. The Yaquina River Bridge is behind. 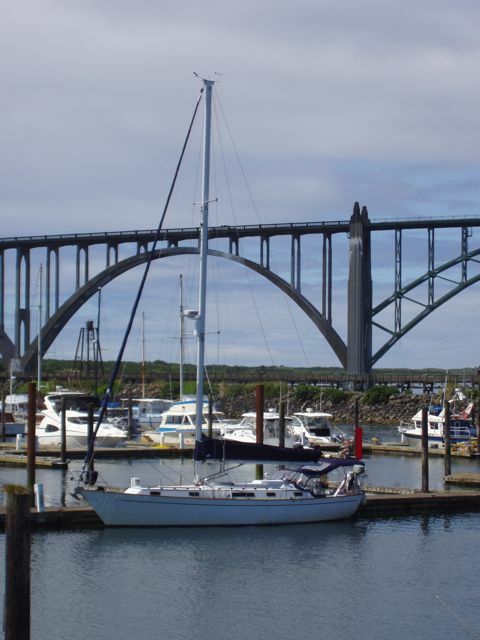 The beautiful Yaquina River Bridge is a lovely backdrop for the marina. 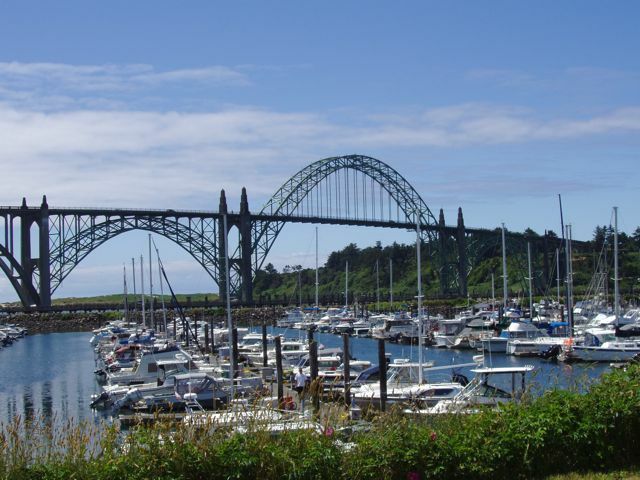 The Yaquina Bay Bridge is an outstanding design and one of the most familiar and attractive bridges in Oregon. 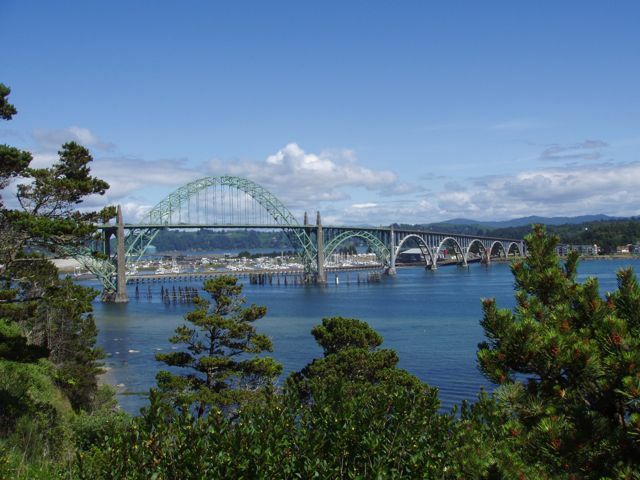 Constructed as one of five major bridges completed in 1936 under Oregon’s Coast Bridges project, this McCullough-designed structure is a combination of both steel and concrete arches. This Art Deco bridge design includes ornamental spandrel deck railing brackets, fluted entrance pylons, and a pedestrian plaza with elaborate stairways leading to observation areas. It cost 1.3 million to build. After we missed the free shuttle from town, we walked across it. I think it's one of the most beautiful bridges I've ever seen. 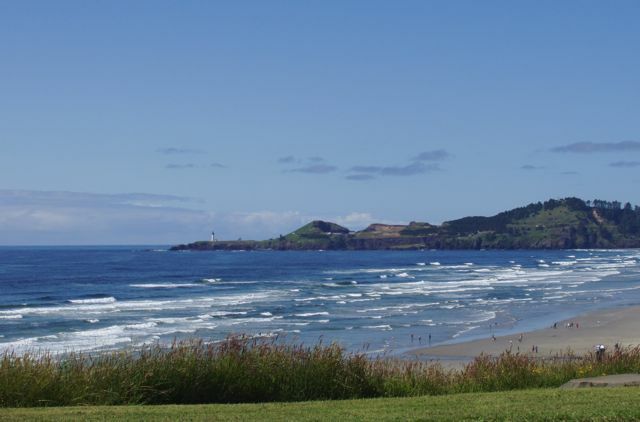 The Yaquina Lighthouse in the distance and the Agate Beach State Park in the foreground. This is a real beach with sand and surf. Who knew? 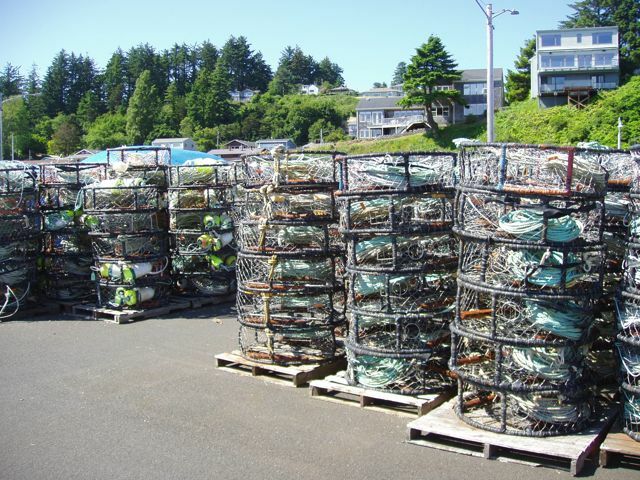 Newport fishers trapped an estimated 7 million pounds of Dungeness crabs last year. These pots are stored on municipal land for the local fleet. 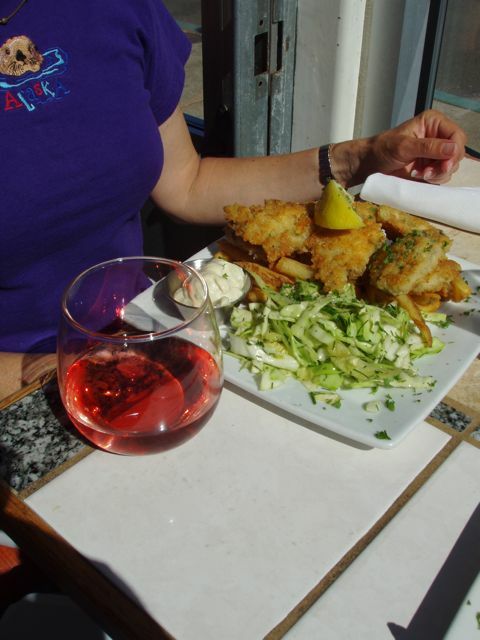 Newport bills itself as "Dungeness Crab Capital of the World." Lovely Conni talks to friends while walking on a pier in Newport. Conni's delight: friend oysters and rosé. Dining at the Local Ocean Seafood restaurant was a treat. 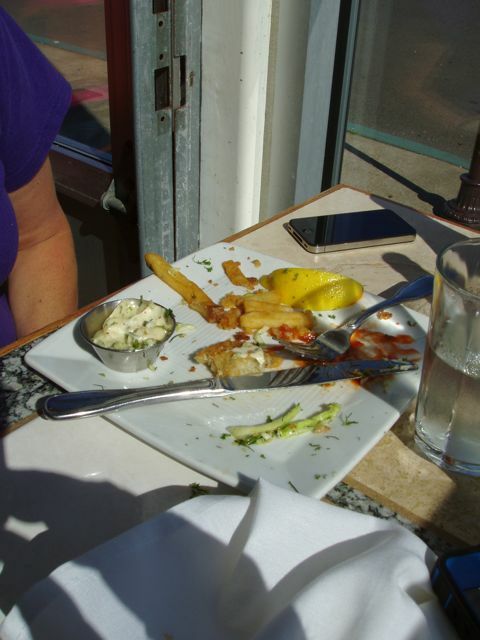 And, yes, it was delicious! Annie! You ROCK! Annie is the "best of the best" server. 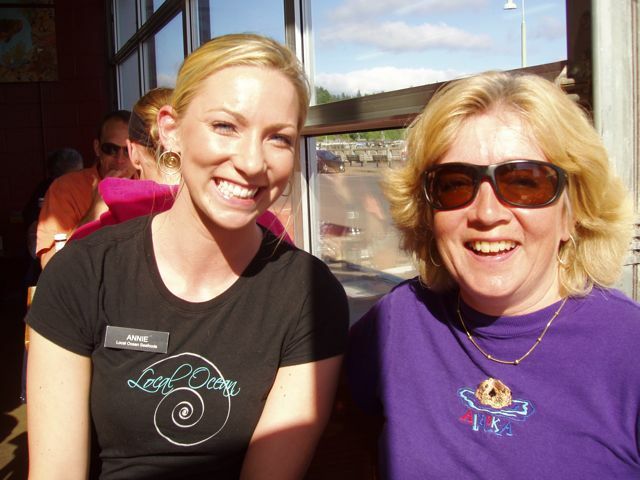 She's a local track star, she told us, and a server of amazing talent. This is the channel that Conni navigated through at night. The jetty does allow vessels to get past the breakers (at right), but it's narrow and we were tired. After we missed the free shuttle from town, we walked back to the marina across the bridge. Wings is in the left side of the marina, the closer of the two sailboats. Newport's new NOAA research dock curves at left. "Mt. NOAA", the whitish pile above Wings, is composed of material dredged from the channel. 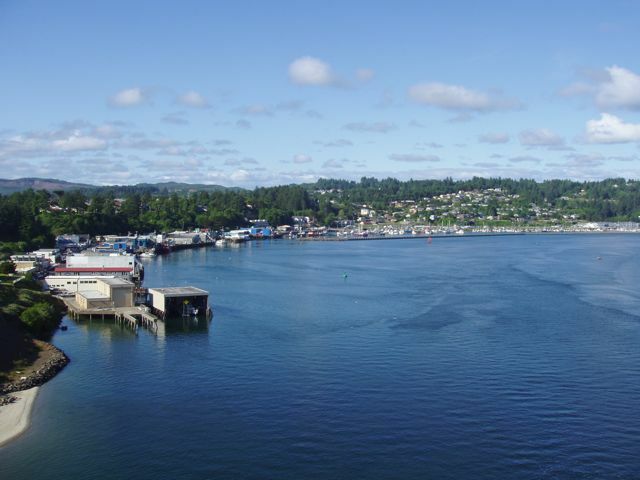 A photo of Newport from the Yaquina River Bridge. 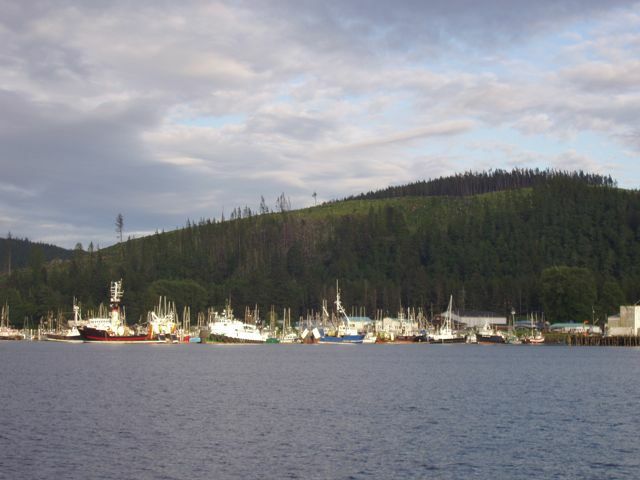 The commercial fishing marina is at center and the docks lining the left side are all commercial fishing businesses.